The United Arab Emirates chapter of the former vice president of Nigeria, Alh. Atiku Abubakar volunteer ICG group, Atikunation, is billed for launch on Friday, 24th of November, 2017, according to a statement made available by the group. Since its inauguration, Atikunation has remained the torch of organizations campaigning for the success of the 2019 presidential ambition of Alhaji Abubakar. The host of the august launch which will be held at the Icon Hotel Apartments, Diera, Dubai UAE, is Hon. Akintayo Akinbamido, the UAE director of the group with the able support of Hon. Fatee Muhammed, the director-general of Atikunation. The statement adds that Alhaji Atiku Abubakar will be present at the occasion, while bigwigs who belong in the group, friends and associates of the group members, will be in attendance. Hon. 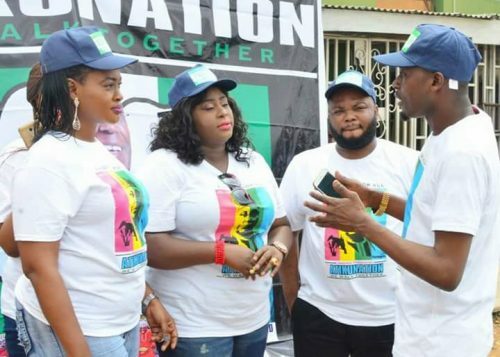 Fatee Muhammed, gauging from public opinion, has inspired a lot of Nigerians, especially women and the youth, via series of campaigns that evoke the spirit of responsible leadership and social change that will secure the future of Nigerians. Speaking on the objectives of Atikunation, Hon. Fatee Muhammed declared that the time for such kind of movement was long overdue, stressing that gone are the days of the heroic leaders whose mandates were often followed unquestioningly. “It’s time Nigerians embraced true change and leadership they can trust, and this true change and leadership Atiku Abubakar represents,” Hon. Fatee declares.